It’s no surprise that customer experience has found itself a priority in the C-suite. Fueled by hyper-competition, increasing transparency, and heightening consumer expectations, healthcare leadership knows they need to integrate differentiating brand experiences. But, as an emergent concept, decision makers are not always confident where to start with Experience Design. That’s true for several reasons. First, the actual definition of Experience Design is fluid, even among the experts. Next comes the challenge of whether to secure a consultancy to guide the process or go solo. Then there’s the granular tasks of isolating your system’s experience touch points, defining a best experience, and building internal alignment. Layer on the challenges of everyday business, and it’s clear why customer experience can get overlooked. Wikipedia states Experience Design is “the practice of designing products, processes, services, events, omni-channel journeys, and environments with a focus placed on the quality of the user experience and culturally relevant solutions.” That’s a daunting scope. But try thinking of Experience Design as a magnifying lens that scrutinizes customer brand touch points by watching, listening, and learning from personal needs. These insights can inform the design foundation as you re-engineer your touch points to create positive experiences that cement competitive differentiation, create delight, and sustain loyalty. Healthcare marketers know the costs of renewing a lost customer. But, when the erosion points are understood, securing and sustaining brand advocacy becomes much clearer. One key to remember with Experience Design is that it’s an omni-channel journey. A customer may have multiple touch points within your organization engaging with diverse personnel and personalities. And it’s these personalities that can delight, or alienate, a customer or prospect. So while the customer experience may be a hot C-suite discussion, it’s actually a daily, and potentially multi-lingual conversation, that’s happening every day in every place within your organization. Any PowerPoint can articulate a valuable experience, but sustained delivery across your organization takes consistency. This kind of seismic organic change takes patience, time, and training. Starting with the individual and then spreading to the team, it infects departments and then entire divisions. More than a promise or a goal, Experience Design is a belief system that everyone can believe in. Holy Redeemer is mid-stream with a total experience transformation. The organization’s successes in Experience Design have been driven by cultural alignment and the support and insight delivered by the Experience Design Team at the Spark! Transformation Center. Spark! offers an ideation space and a consulting team that takes Holy Redeemer staff out of the everyday and helps to stimulate real discovery. What Holy Redeemer has discovered about the organization, its people, its brand, and how it exists in the marketplace has lit paths and sparked changes the team never imagined. You never know where a transformational journey is going to lead. But, by literally living its proprietary “Five Futures,” everyone at Holy Redeemer is experiencing and connecting with each other and with customers. The result has been a tighter, more authentic belief system that permeates every touch point, as the Five Futures below demonstrate. An organization’s culture is foundational to customer experience. Thriving cultures consistently track back to their mission statement. A Cultural Affirmation, or what Holy Redeemer calls a Declaration, a close relative to mission, should capture what you do and what you want to be known for by framing the goals for employees, customers, community, and beyond. To ensure a culture that is authentic and meaningful, Holy Redeemer teams attend an Experience U class to better align to the organization’s mission and values. Learning culminates with an opportunity for attendees to dedicate themselves to live the organization’s values through their work. With this cultural clarity it becomes easier to sync beliefs and behaviors with individuals, services, and space. Holy Redeemer’s second future is The Future of Story. This is where participants realize they are the only ones with the power to determine what’s written, remembered, and passed on. To develop storytelling competencies, managers are provided a storytelling kit with 12 months of activities to use in their departments. Holy Redeemer begins each meeting with a safety- or mission-based story as well. Relating complexity and nuance, this training has helped people, teams, and the organization communicate more effectively, clearly voice their purpose, and plot intentional paths. The third prong is the Future of Learning. By discovering that learning isn’t insular, participants reveal more about themselves and the organization. Learning from one another, they create more compelling relationships. Holy Redeemer has also taken traditional, didactic-style employee learning and created experiences infused with interaction as well as a theme related to the culture. These learning methods help improve engagement and appeal to a broader base of learning styles. Another important practice centers around The Future of Talent. Designed to encourage applicants to reveal their authentic self, Holy Redeemer invites job candidates to share their story using a storytelling kit. It promotes connecting with a candidate beyond the skills you see on a resume and allows both the hiring manager and the candidate to bring their authentic selves to the interviewing process. Anyone can dial up a superficial smile and a handshake. But when you dial deeper, you both feel it, and the personal connection promotes trust. Last, but not least, Holy Redeemer’s work has revealed that by bringing our very best, most essential selves to our work, a transformation happens. Spark! has developed a life coaching program to help employees find their purpose and better connect to the organization’s values and mission. When we’re fully present and sure of who we are, interactions become more meaningful, and that’s when real connectivity happens. If you’re interested in creating a change for your organization, you’re in luck. 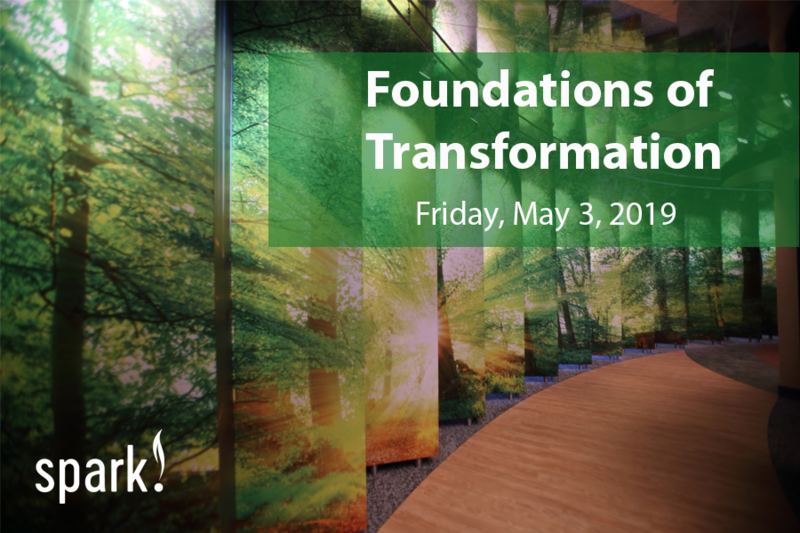 Holy Redeemer’s next Foundations Of Transformation experience is just around the corner. This one of a kind immersion is an intimate experience, so space is limited. Learn more about how you can ignite your passion and inspire change. 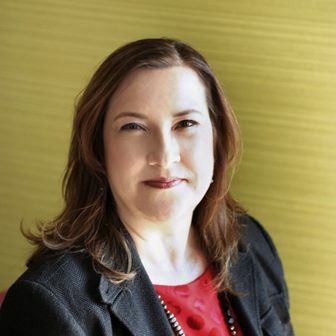 Christine Holt is the chief experience officer for Spark! Transformation Center at Holy Redeemer Health System, an integrated system providing HealthCare, HomeCare and LifeCare throughout southeastern Pennsylvania and 12 counties in New Jersey.